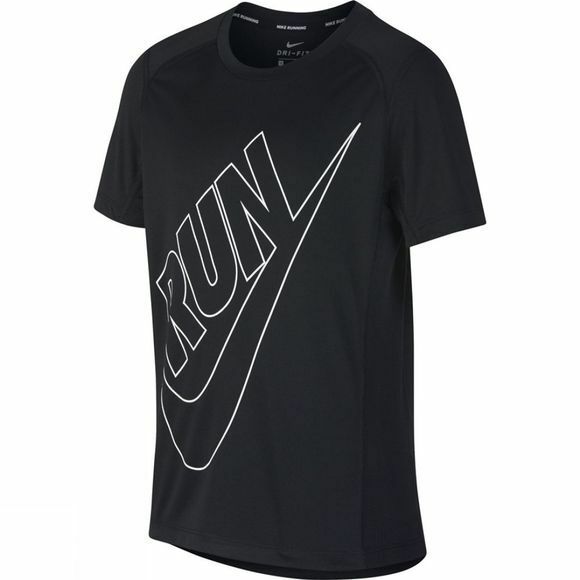 Keep pace with your best time in Boys' Nike Dry Miler Running Top. 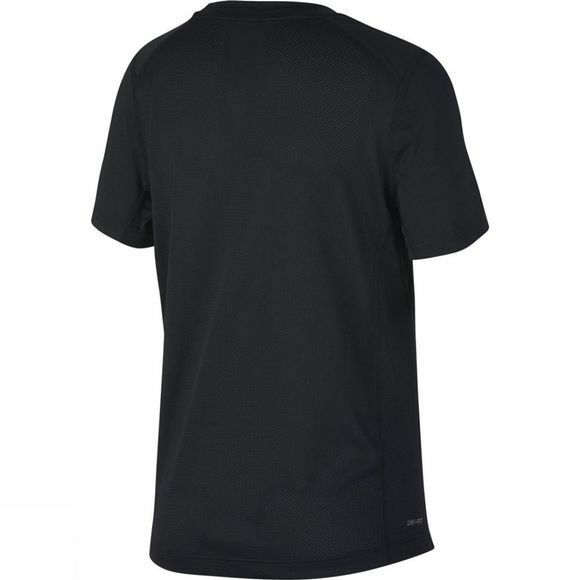 Sweat-wicking fabric works with strategically placed mesh panels to deliver a cool, dry, comfortable feel while you run. Sweat-wicking mesh panels help you stay cool. Ergonomic seams allow for full range of motion. Nike Running graphic is printed at the center chest.